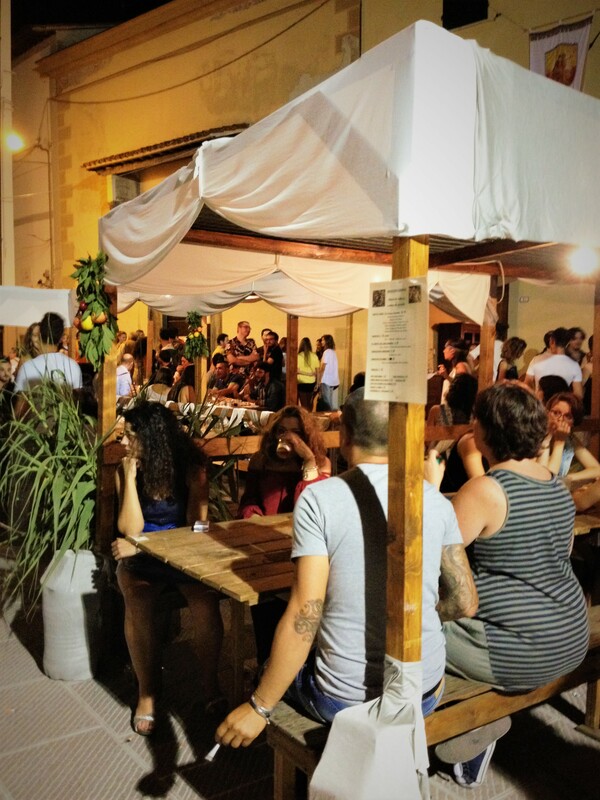 We Go to Festas | Sprezzatura, Y'all! I’ve said this before, but it bears repeating. There’s always something going on here. If they’re not blessing something, or celebrating something, or commemorating something, they’re going to find some reason to come together – or maybe no reason at all. Just this weekend we’ve been to three different things and it’s only Sunday morning. And we missed one on Friday simply because we couldn’t be in two places at the same time. 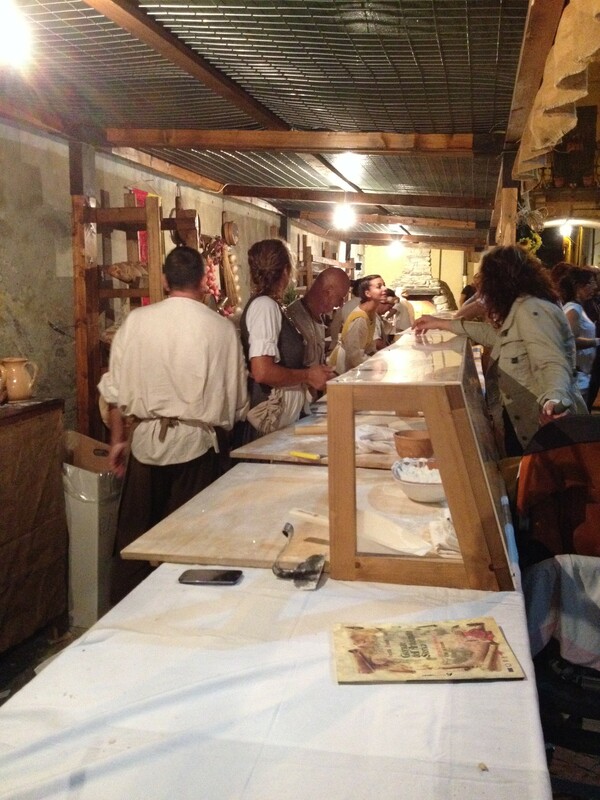 First we went to the Giornate dell’ Artigianato Storico in Citta di Castello with our friends Michelangelo and Rosella. It’s an annual event where they celebrate their medieval origins. We had dinner first at a nearby restaurant and by the time we got to the festival it was about 10:30 or so. It was jam packed. By that time it was mostly young people doing what young people do best in any country – partying. But the event itself was fascinating. Special food opportunities were everywhere, kind of like the pop-up restaurant craze that’s so big in the US now. 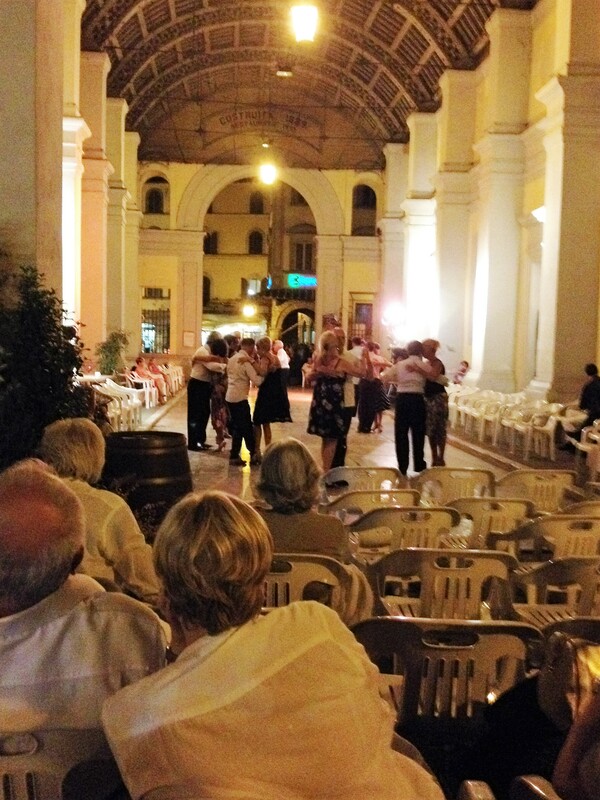 In piazzas, in courtyards, in vacant storefronts, on the streets – they were everywhere. Strolling musicians dressed in period costumes were meandering through the streets, stopping here and there to perform. 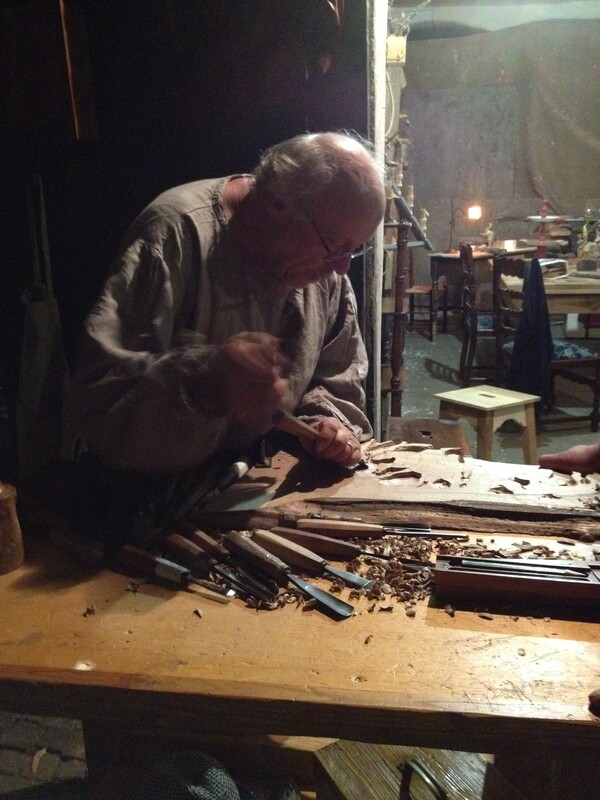 Artisans and craftsmen were set up demonstrating everything from paper making and printing to wood carving and blacksmithing. They, too, were dressed in period clothing and were thrilled to have an audience for their demonstrations. Saturday we didn’t do much, but in the late afternoon we went to the piazza for our cocktails. There was a stage set up and the piazza was closed to car traffic and the main street through town was lined with groups of people. It was some kind of motorcycle event with all the regions of Italy participating. We had a front row seat from our happy hour bar. All of a sudden from down the main street came a band, dressed in Renaissance costumes complete with a flag corp. 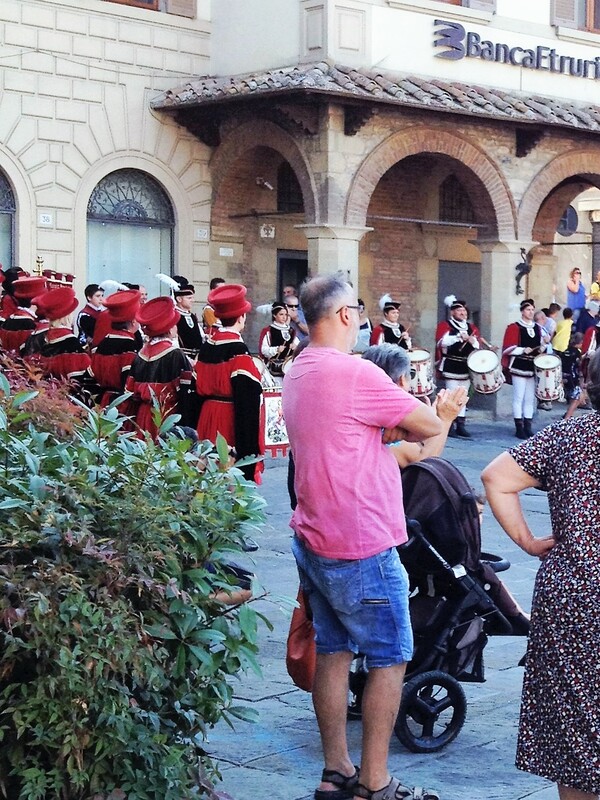 They marched into the piazza and lined up to herald the groups of participants in the event. In marched groups from every region in Italy and they were all called up on the stage to say a few words and given a plaque or something. Then the musicians performed again and the flagman/twirler did a performance with four flags that he was hurling through the air and catching. This all was a complete surprise to us – we didn’t know anything about it but what a great way to spend cocktail hour. We ate in for dinner last night and afterward took a stroll around town. There’s a galleria that connects the two sides of town and it was closed off to traffic and had chairs set up all around it and the entire interior was covered with a dance floor. A little open air dance festival for anyone who wanted to get up and take a spin around the floor. Just because the Renaissance musicians and the motorcycle extravaganza wasn’t enough for one day. 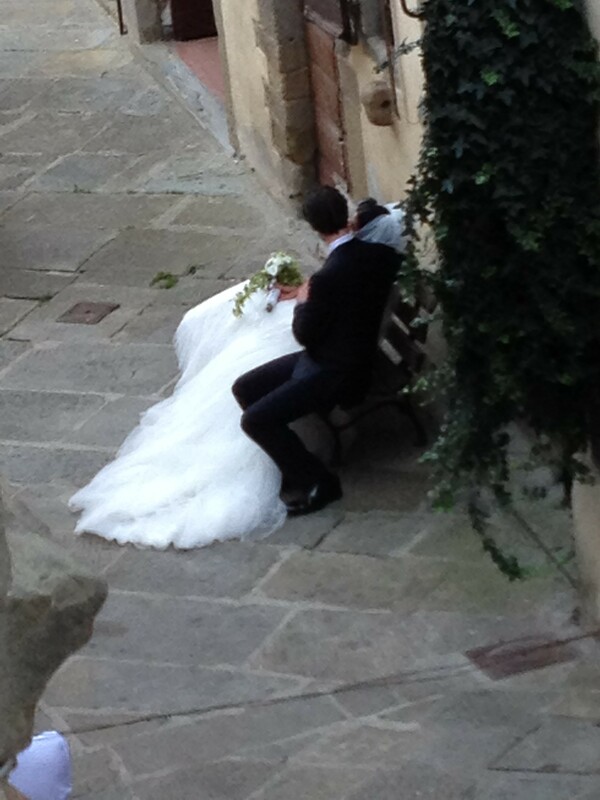 Oh, and during the afternoon yesterday I looked out the window and saw not one, but two, wedding parties. One out of our front window and one out of the back. I wonder how many more there were that I didn’t happen to see? What a beautiful place to get married and to have your pictures made. Just gets better and better! Do you feel as if you are in a dream? I’ve been out of town so I’m just catching up reading your blog. I shouldn’t have read so many entries at once. 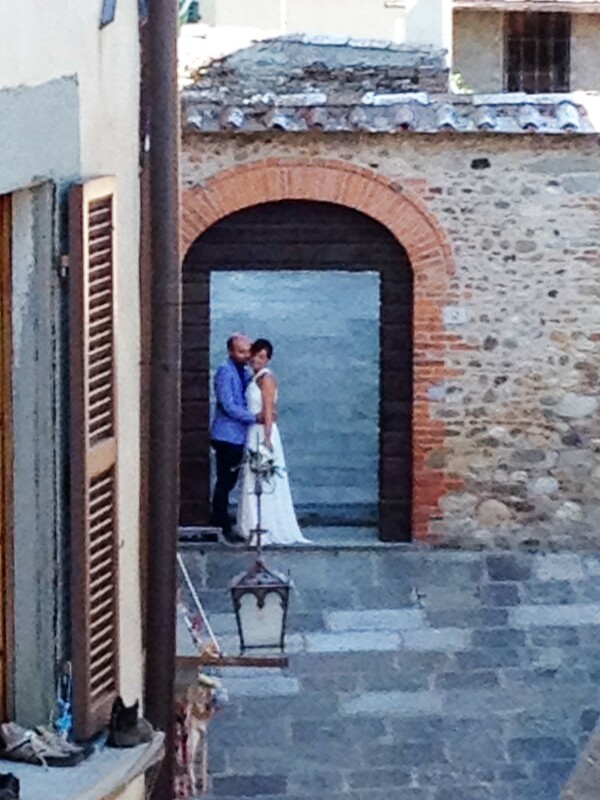 I’m overwhelmed with so much beauty and inspiration watching the Italians celebrating life every hour, every day! To have the ability to extract a bit of happiness and contentment from the mundane and routine is truly an art! I look forward to learning more as you share your journey with us. Just remember, after lunch is really 5:30! Very well put, Myra! They definitely live in the moment and that’s instructive for all of us.